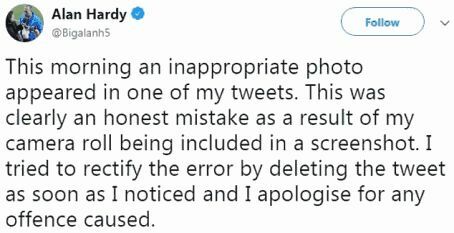 ​Notts County owner Alan Hard has ‘very reluctantly’ put the club up for sale just hours after accidentally posting a tweet that inadvertently contained an image of an unexpected body part. His joystick. The businessman, who bought the League Two side two years ago, was forced to apologise for the now deleted tweet, and has insisted that neither the gaffe or the club’s current league position are the causeof this sudden move to sell. 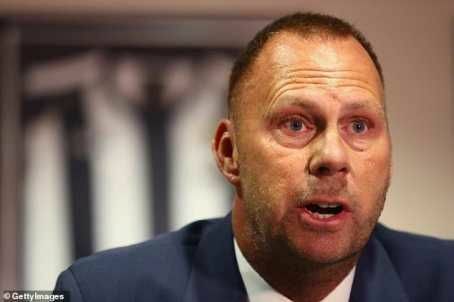 In a statement quoted by the ​Independent, Hardy has revealed: “After considerable soul-searching, I no longer feel I can continue as the owner of Notts County Football Club. County currently sit rock bottom of the Football League’s lowest division, nine points off safety, with their most recent defeat a damaging one against fellow stragglers Yeovil Town.